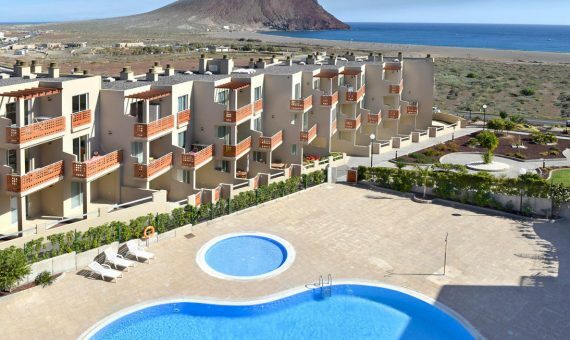 Spectacular 2 bedroom apartment renovated to 1 bedroom in the urbanization Terrazas de Sotavento, La Tejita, in one of the best climatic zones of the island a few meters from the beach, the shopping center La Tejita Street Market and the airport of the South. 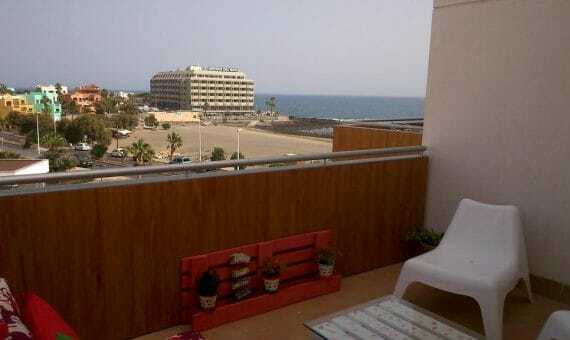 The urbanization is private with swimming pool, garden areas and paddle tennis court. 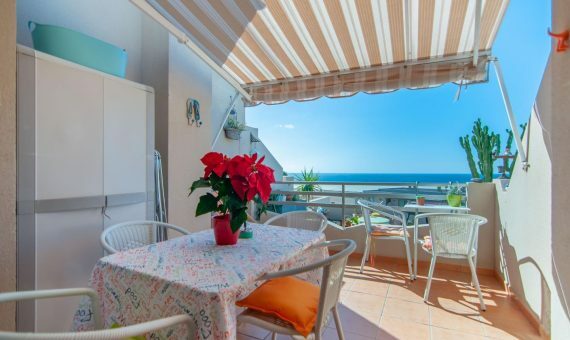 The apartment has a private terrace of 52m2, living-dining room, fully fitted kitchen, bathroom, laundry room and garage included in the price.